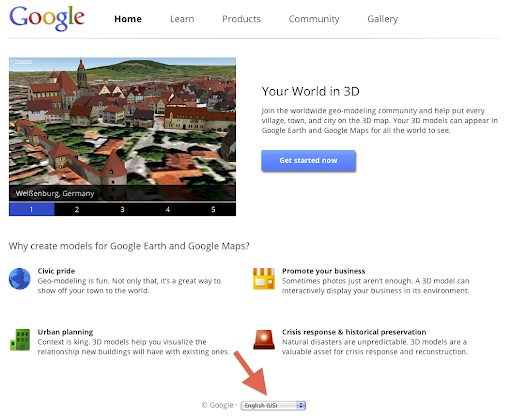 Earlier this summer, we unveiled a new website called Your World in 3D to help introduce users to the concept of geo-modeling -- the term given to creating 3D buildings for Google Earth and Google Maps. Today, we're releasing the Your World in 3D website in 15 additional languages: Czech, German, English (UK), Spanish, French, Italian, Japanese, Korean, Dutch, Polish, Brazilian Porteguese, Russian, Turkish, Simplified Chinese and Traditional Chinese. Besides being fun, building your town in 3D is a great way to show civic pride, encourage tourism for your town, and promote your business. 3D modeling has also been used in crisis response situations as we saw in the grassroots modeling effort that happened after the earthquake in L’Aquila, Italy. 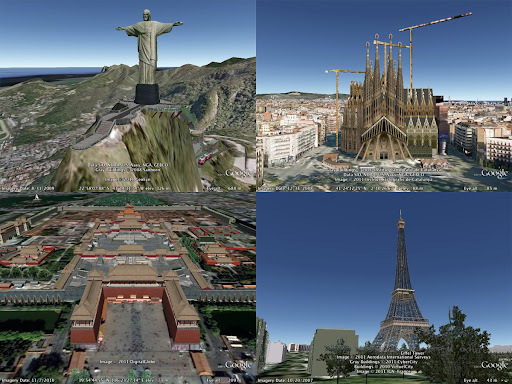 Your World in 3D has all the tools you’ll need to start geo-modeling and features several examples of what fellow modeling. By releasing Your World in 3D in more languages, we hope that you and your friends from around the globe will join us to help build the most comprehensive 3D virtual mirror of planet Earth.